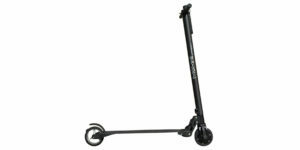 The GigaByke Groove packs a lot of features and style into light electric scooter that costs under $1,500. 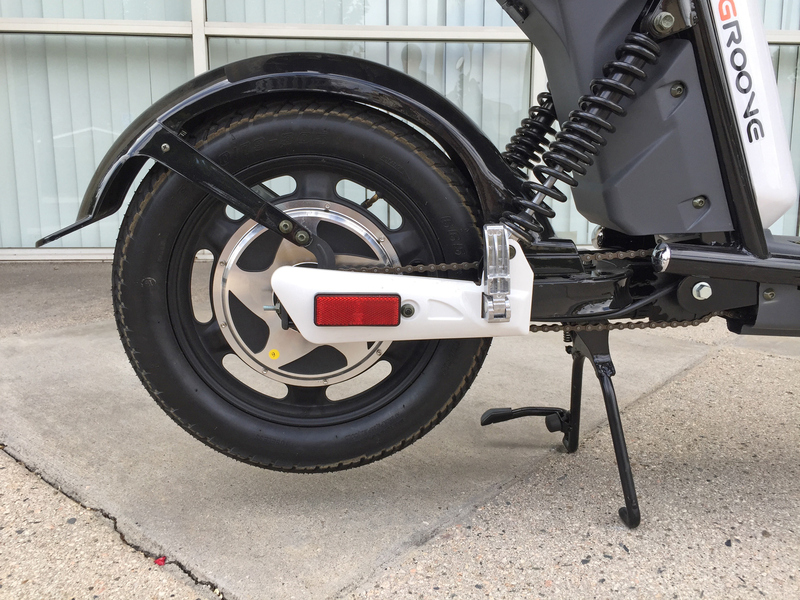 You get LED lights with brights and brake activation, turn signals, a horn, backlit LCD display (with speedometer, battery charge level and odometer) and there’s even room for a passenger on the long saddle thanks to fold-down pegs. 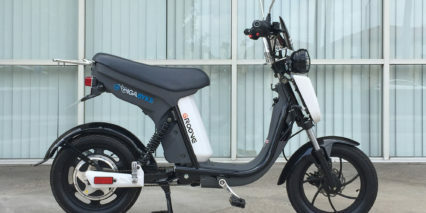 Technically this thing is classified as a low speed electric bike and can be ridden without a license or insurance but you’ll want to stick to the bike lane or side of roads given the ~18 mph top speed. 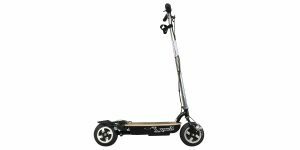 While it does have pedals and they are geared low to move the weight of the bike, there is only one gear and the short four inch crank arms and basic plastic pedals weren’t much fun to use. 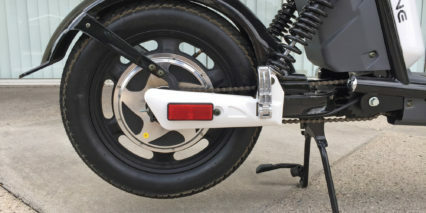 Powering the bike is a pack of four 12 volt 14 amp hour Sealed Lead Acid batteries configured in a funky angular pack that fits under the saddle. I love that the pack is removable to reduce weight (by about 41.5 lbs) and that you can charge it on or off the bike. 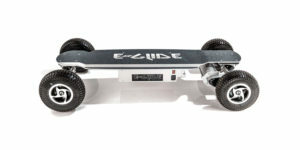 I wouldn’t expect nearly the same number of charge cycles or range as an equivalent Lithium based battery but those cost a lot more… you can replace the pack on the GigaBike Groove for just $400… along with the plastic accents, the motor, turn signals and other hardware. 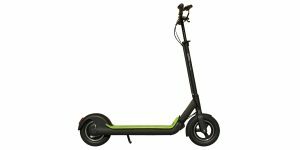 This is a huge selling point for me, along with the year long warranty, because very few other electric scooters offer this high level of support. Despite the seemingly large 750 watt motor rating this thing isn’t especially zippy or powerful. 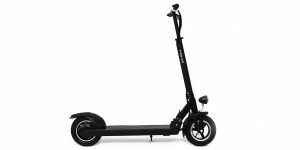 It will reach 18 mph but takes some time, this seems to be an intentional choice to help conserve battery but could hinder heavy riders or those with large hills to overcome… Consider pedaling along at starts to extend range and ramp up speed faster. 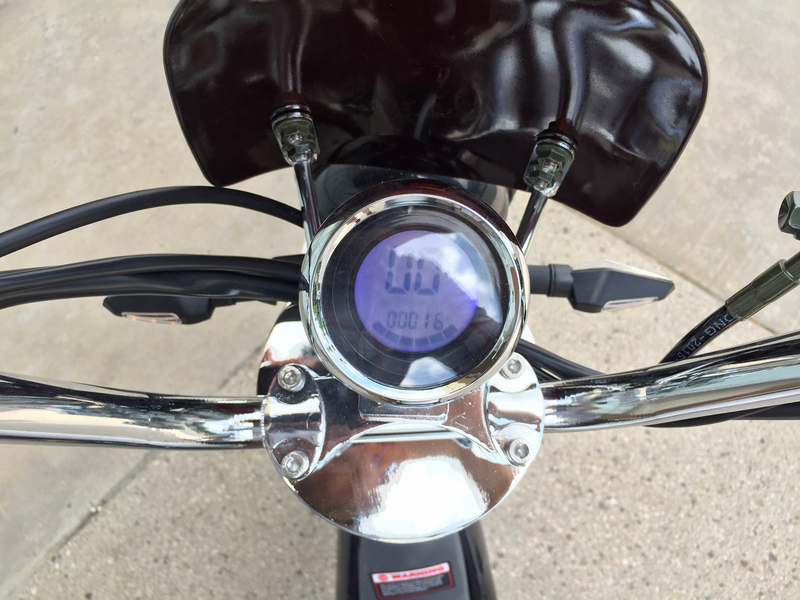 In cases where you are climbing the top speed can drop way down to ~7 mph. The bike moved Sam pretty effectively and he weighs ~260 lbs but we were in a smooth flat parking lot. Gearless motors tend to be very durable but weigh a bit more, this one did not appear to have any sort of regenerative braking but produced a bit of cogging drag (just like most gearless designs) that add another level of difficulty to the already lackluster pedaling situation. 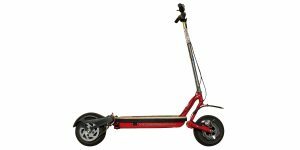 Don’t get me wrong, this is the case with most electric scooters, just don’t expect to pedal home and try to keep your trips under 20 miles which would be my safe estimate for range. 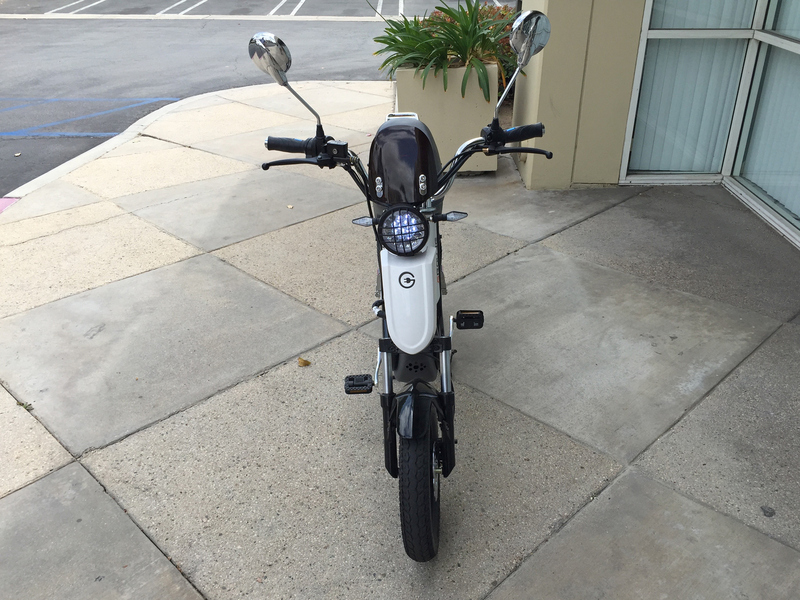 Apparently the company that built this used to be connected with Spooky Tooth motorized cycles (back in 2006) so they have a good knowledge of the industry and track record, Sam mentioned that the scooter resembles the E-Road and may be rebranded with improved support, colors and accessories? is this bike one of these Chinese junk crap? Being that they only have stores (their stores listed on their website) in the US and in the US only tells me that it is designed primarily in America, and their main headquarters is located in California tells me that it is a US company. Doing a quick google search it is indeed manufactured in China unfortunately. 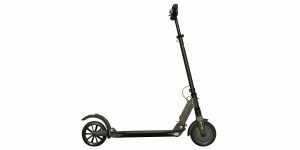 If you live in the UK, here’s the same scooter. Can the gigabyke 750 get wet in any way ? 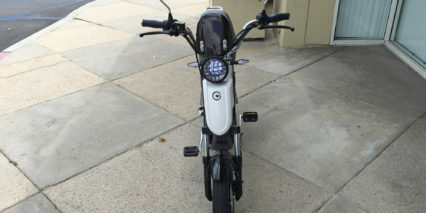 Hello my ebike wont start, the lights turn on but it just won’t start what could it be? Hmm, I’m not sure Daniel? My experience with the GigaByke was with a brand new one for limited time but the shop that carries them might know. Where did you buy yours from? 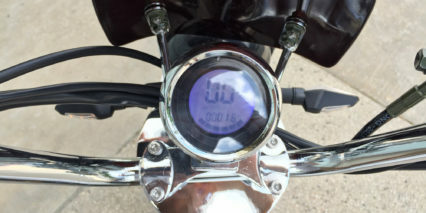 I saw in a review on Amazon that the display is in KMH rather than MPH. But it does not appear to be the case in your test. Is that a setting that can be changed, and the bike shop had already made that change for you? hello, do they have them with lithium ion battery? and what is the range? BOTH boxes came in incredibly damaged. ONE (1) of the bikes came in with a hole in the front box that holds all the wires together. Customer support at Gigabyke said it was purely cosmetic. ONE (1) of the bikes came in with the front bar that basically holds the front part of the bike and the tire on the bike mounted to the WRONG section. In order for us to re-mount it and fix the issue, we would need heavy power tools, which we don’t have. We had to return this bike to Gigabyke so that we could get a properly assembled bike. 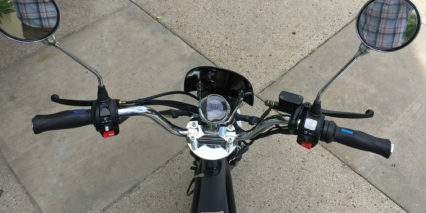 The same bike that was assembled incorrectly did not have the handlebar holder installed at all. There were NO directions on how to install it. 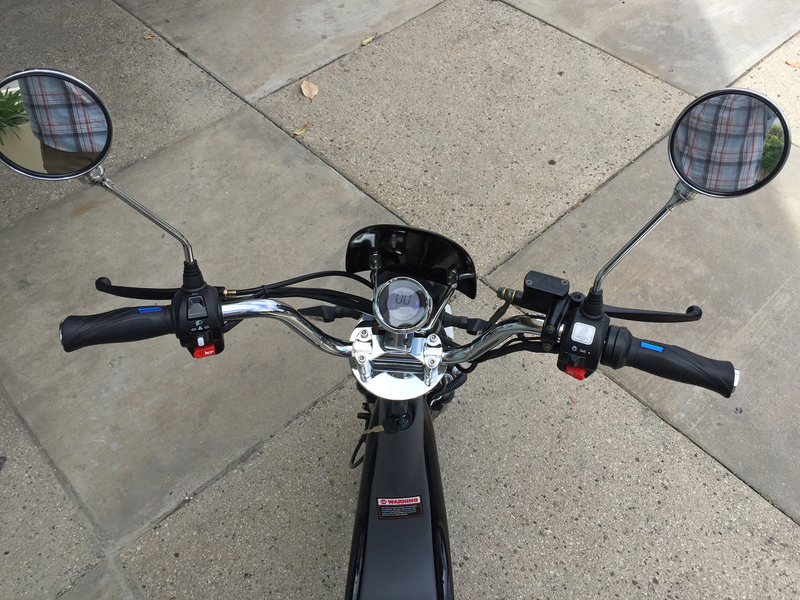 We installed it to the best of our abilities and the handlebars actually CAME OFF when we test rode it for the first time. We got into an accident. We emailed customer support several times about the incorrectly assembled bike, and was met with no response. We called customer service a week later because we were waiting for the email response since we had already been in correspondence with them about the “cosmetic” front box issue. 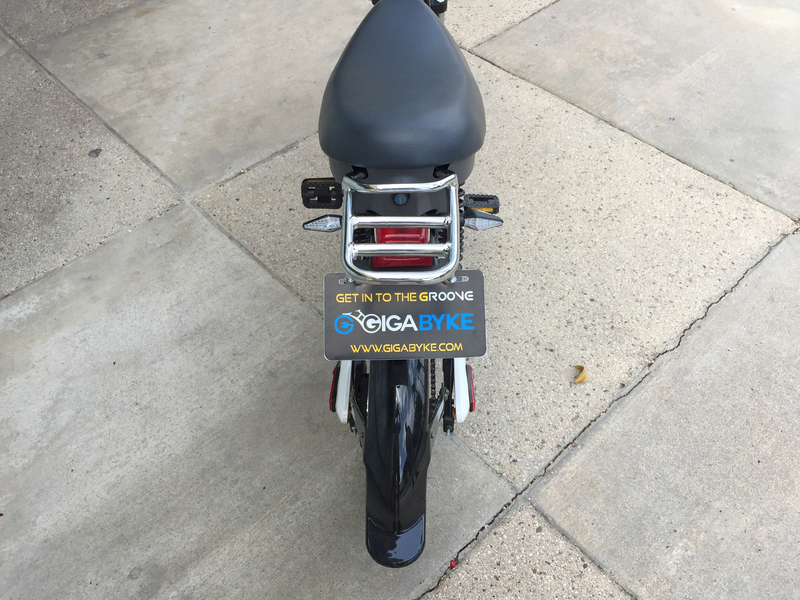 We had a lengthy conversation with the representative, who assured us that they would use us a better bike. We called customer service AGAIN after UPS came to pick up the damaged bike, just to get confirmation on next steps and apparently they DIDNT SAVE THE PHONE CONVERSATION. There were apparently no notes taken. So we spent another half hour trying to find someone at Gigabyke that knew what we were talking about. The new bike that came as the replacement bike ALSO did not have the handle bar holder installed. We called customer service AGAIN and they assured us that it was a simple install. They completely disregarded our concerns about SAFETY. They kept insisting that the replacement bike was a NEWER model and the newer models don’t come with the handlebar holder installed. The OTHER bike we bought initially is ALSO considered a newer model, and that one DID have the handle bar holder installed. So which is it? 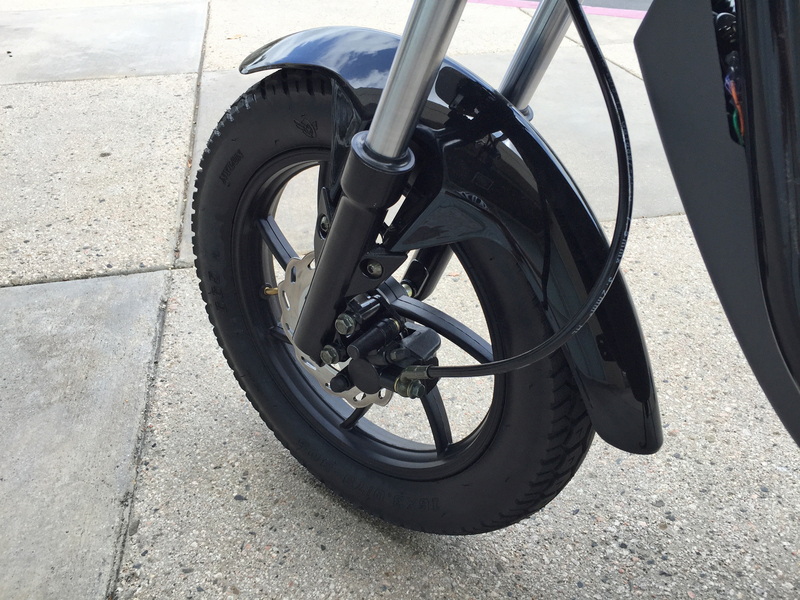 The OTHER bike we initially bought has an issue with the back tire. 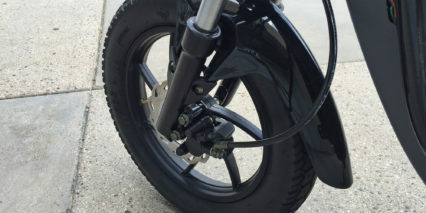 It is impossible to inflate the back tire as the air valve is pushed so far in that there is no way we can get air into the tire. We called customer support AGAIN and they told us to deflate the tire even more and rotate the tire. We attempted to deflate the tire even more and rotate the tire, it did not help. We attempted to use pliers to try to get the valve to come out of the tire further, it will not budge. We took pictures and sent customer support an email and followed up immediately with a phone call. Customer support insisted that we were doing it wrong. Customer support insisted that we go record a video of us trying to fix the tire because customer support does not believe that we’re trying hard enough. Customer support then says we need to go get a clamp and clamp the tire so that we can relieve the pressure from the tire and then we can squeeze and push the tire so that the valve comes out of the tire. Customer support DOES NOT LISTEN when we say we’ve TRIED all of this. Customer support offers NO SOLUTION, other than try it again and record a video. We then asked about the refund policy since we have had NOTHING but headaches from these expensive bikes that WE CANT EVEN RIDE. They are holding firm to their 15% restocking fee, EVEN THOUGH the quality of these bikes are terrible. p>All in all, as a Gigabyke owner, and with so very FEW reviews online about these bikes, I DO NOT RECOMMEND anyone purchasing these bikes. The customer support that comes with the product is lacking basic customer support and is filled with representatives that firmly believe that there is NO OTHER WAY for something to happen than what THEY BELIEVE will happen (i.e. they BELIEVE that the tire will be an easy fix and will not entertain the thought of it NOT BEING AN EASY FIX especially since we’ve already tried their solutions). Do not take a risk for these bikes. It’s simply not worth it. I read a lot of positive reviews about this bike before buying one a year ago and that was a BIG mistake. 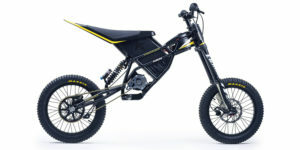 The battery that comes with the bike is simply a piece of junk. 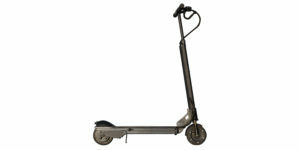 My daily commute is less than 5 miles and after a couple months of use, I couldn’t even make it back on a full charge. At first I thought I got a defective battery so I got the seller to replace it not once but twice (after many calls), and they all ended up the same. I now have a useless bike sitting in my garage. Forget about trying to pedal it. I am very curious if anyone else has a similar experience. Bummer, thanks for the feedback Eric! Maybe someone else will chime in. Hopefully since the company is replacing your batteries, they will realize that maybe they should use a different supplier or resolve an issue there. Hello, i was planning on buying this for my little sister who is 16 years old, weighs 115, and is 4′ 11″ tall. Do you think she would be able to rife this bike confortably and safely? Also, if she is too short, does the bike come with seat height adjustment to make it fit her height? My bike is defective. it worked for about 5 minutes and then stopped working. I have been going back and forth with the company for literally months to get some sort of resolution, but they have given me the total runaround. They claimed they wanted to help, but did not. We did everything they asked us to do. We check wires and connections, we took the battery apart and checked that it was working properly, we sent videos. Finally, they said that their experts would review the videos and get back to us with a solution. That was weeks ago. They totally stopped communicating. They won’t answer my emails now. They know they sold us a lemon and now they won’t replace it or get it fixed. 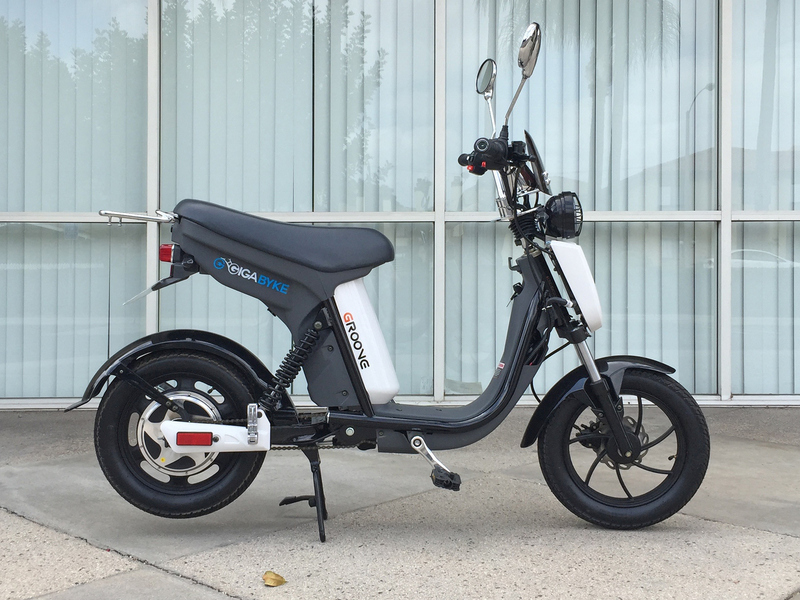 We are stuck with a very expensive inoperable e-bike. I would highly recommend NOT buying from these folks. 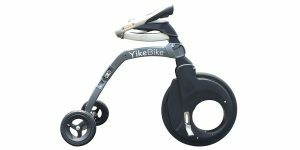 My review removed from Amazon for some reason, so I’m posting here: “My Gigabyke is a little over a year old and out of warranty and almost 2 months waiting for your (Gigabyke) help in fixing my broken chain sprocket… Endless replies of promised help from the company and Bikeberry. Took it to a bike shop and they couldn’t even get a parts list or manual! Terrible customer service. Before you decide to buy one, think twice before you buy from this company! 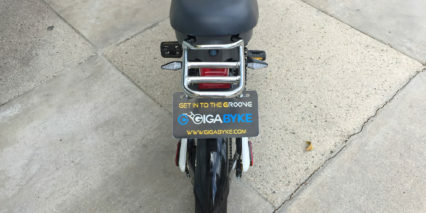 Love my BYKE but won’t buy another!” Sad that they supply no help or info once the warranty ran out! Lots of disappointed reviews all over the web. Local bike shop in Bedford PA fixed it in one day with the parts that I bought! Looking forward to buying a Rad City bike instead.